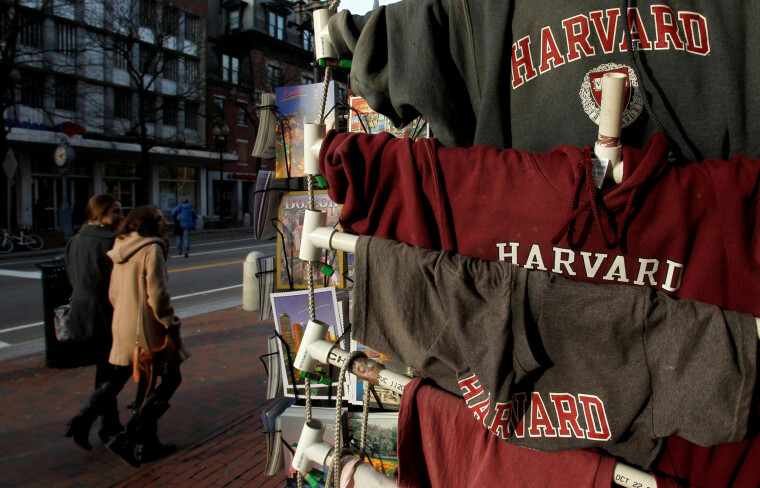 Asian Americans, often stereotyped as model minorities, have found themselves in the center of a debate on affirmative action in a lawsuit against Harvard. Battle lines were drawn this week as Asian-American groups took sides in an ongoing lawsuit that accuses Harvard of discriminating against Asian-American applicants. Current Harvard students, alumni and applicants who defend the school’s consideration of race in admissions — and organizations like the Asian American Coalition for Education, which accuses Harvard of “unfairly rejecting many top performing Asian American students” — were among those who filed friend-of-the-court briefs in Boston federal court on Monday and Tuesday, as a judge weighs whether the case should go to trial. In the wake of the lawsuit brought by Students for Fair Admissions in 2014, Asian Americans, often stereotyped as model minorities, have found themselves in the center of the debate on affirmative action. One group of students, represented by Asian Americans Advancing Justice-L.A. and two other civil rights groups, contends in their brief that Harvard’s race-conscious, holistic admissions policy is constitutional. They also maintain that the school needs to do more to ensure even greater diversity, which the brief says enhances learning for all students. But the Asian American Coalition for Education and the Asian American Legal Foundation, both nonprofit advocacy groups, argue in their brief that Harvard, in order to maintain racial quotas, makes Asian-American applicants surmount a higher bar than others. They allege that Asian Americans today encounter the same “formal and hidden quotas” faced by Jewish applicants to Harvard and other Ivy Leagues during the first half of the 20th century. While Asian-Americans appear divided on affirmative action, backing for the policy among the group has actually held steady, except for Chinese Americans, according to Karthick Ramakrishnan, founder and director of AAPI Data and a public policy professor at the University of California, Riverside. National survey figures analyzed by AAPI Data showed that from 2012 to 2016, Asian-American support for affirmative action hovered around 70 percent, though for Chinese it dropped from 78 percent to 41 percent. “This has been a major issue within the Chinese-American community and predominantly driven by the concerns and anxieties of Chinese immigrants,” Ramakrishnan said. The group suing Harvard, Students for Fair Admissions, which is led by conservative activist Edward Blum, includes Asian Americans who have been denied admission to Harvard. It alleges that the college intentionally discriminates against Asian-American applicants by limiting their admissions numbers each year. Harvard denies the claims. It says it believes the evidence shows that it does not use quotas or racial balancing and that race is just one of many factors it considers in admissions decisions. The Supreme Court has ruled that colleges cannot use racial quotas because they violate the Constitution’s Equal Protection Clause, but may take race into account when deciding whom to admit. In Harvard’s class of 2021, 22 percent of students were Asian, 15 percent African American, 12 percent Hispanic or Latino, and 3 percent Native American or Pacific Islander. Nicole Gon Ochi, an attorney with Asian Americans Advancing Justice-L.A., said she believes everyone benefits from diversity. She said their brief stands out from the others in that it captures the full range of student voices, including prospective and current ones, as well as alumni. “We have a Chinese-American and Vietnamese-American student who actually believe that they got into Harvard because of affirmative action,” Ochi said. “There’s others for whom race may not have played a role, but once they got to Harvard, it really greatly enhanced their educational experience, kind of transformed them as people into caring a lot about social justice ... helped them to see their own prejudices,” she added. Ochi said the students in the amicus brief were also troubled by the prospect of not having their race — which they believe to be a core part of their identity — taken into account for admissions when every other aspect of who they are is considered. But Yukong Zhao, president of the Asian American Coalition for Education, said race should play no role in who’s admitted to Harvard. Zhao’s coalition said it represents 156 Asian-American organizations across the country, among them the Asian American GOP Coalition, Asian Americans Against Affirmative Action and the Michigan Chinese Conservatives Alliance, according to their friend-of-the-court brief. The brief, which contends Harvard sets the admissions bar higher for Asian Americans, argued that by doing so Asian-American applicants must study and excel more than other candidates to have the same shot at getting in. “This vicious cycle forces Asian-American students into behavior closer to the negative stereotype that they are nothing but personality-less ‘nerds,’ making it easier for admissions officers to apply unfair stereotypes and deny them admission,” the brief argued. In addition to Harvard, Students for Fair Admissions has also sued the University of North Carolina at Chapel Hill and the University of Texas at Austin in separate cases, alleging they use discriminatory admissions policies. Blum, the group’s president, recruited Abigail Fisher, the lead plaintiff in Fisher v. University of Texas. Fisher, who is white, first sued the University of Texas at Austin in 2008, arguing that its holistic-review process, which considers race along with other factors, put her at a disadvantage to other applicants. The U.S. Supreme Court in June 2016 ruled 4-3 in that case to uphold the school’s affirmative action policy.